This quote from Dr. Martin Luther King Jr. is one that we are not likely to see or hear today as the nation celebrates his birthday. 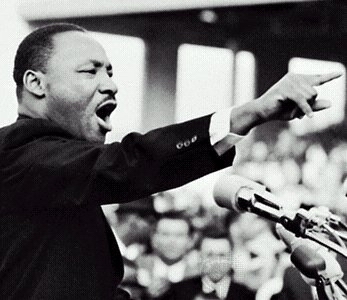 Most news coverage and unfortunately most public events will remember the “I Have a Dream” King. It is easier to remember the King who had faith in this country to solve its racial problems. We all want to think about a future where White children and Black children will play together in harmony. However, this would be a dishonest view of Dr. King. We must look at the whole person and particularly the last years of King to understand his own evolution. Once King brought his civil rights campaign to the North in 1965 he realized that liberals in the North were just as racist as they were in the south. The quote we began with is from a 1967 speech King gave entitled, “Which Way Its Soul Shall Go,” and it is as applicable today as it was in 1967. When we honestly reflect on the economic and social condition of Blacks, Latinos, Asians, Arabs, Native Americans and other minorities in the US today it should be a signal to us that racism and White Supremacy is still deeply entrenched in our country. This is exactly the point that anti-racism writer and activist Time Wise was making in his most recent book, Between Barack and a Hard Place. Wise believes that while we can celebrate the country’s first Black President, racism is still firmly entrenched in our society. This is also a theme that radical historian Paul Street addresses in a recent essay comparing Dr. King and Barack Obama. Saying that most Americans are racists wasn’t the only issue that King challenged people on in his later years. By 1965, King had identified what he considered the “triple evils”; White Supremacy, Capitalism and Militarism. King had come to understand that he could no longer speak out about racism without challenging the economic and political structures in this country, which perpetuated and benefited from racism. In an essay from 1967, King provides astute analysis of why capitalism doesn’t work. Ask yourself, why this statement has not received the same kind of annual attention as the “I Have a Dream” speech? The third evil, militarism, was most manifested in King’s day with the Vietnam War. In 1967 – 68 King became one of its most vocal opponents. King’s 1967 speech at Riverside Church (Beyond Vietnam: A Time to Break Silence) is one of the best critiques of war from any American writer. King not only spoke out against the immorality of the war, he addressed the economic and racist implications of war. In addition, King saw through the imperialist propaganda of the US and rightly identified the US, not as a nation promoting democracy, but a nation he called “the great purveyor of violence” on the planet. In this video excerpt from his Beyond Vietnam speech we can hear King’s critique of a country that spends more money on militarism than social uplift. thank you for this Jeff.